The Hon’ble Tengye Lyonpo & the Chairman, MoEA & PHPA-I visited the Punatsangchhu-I Hydroelectric Project dam site on 24th January 2019 following a slide on the immediate downstream of the dam site on 22nd January 2019. At the site, the Project Management briefed the Chairman on the status of the work progress and the slide that has occurred below the National Highway on immediate downstream of the dam axis. The Hon’ble Chairman informed that there is a need to conduct detailed assessment of the whole distressed area to ascertain the integrity of the entire hillock and the infrastructures. However, there was no immediate risks. Chairman informed the management to follow up immediately and report about the status on 31st January 2019 during the Authority Meeting. 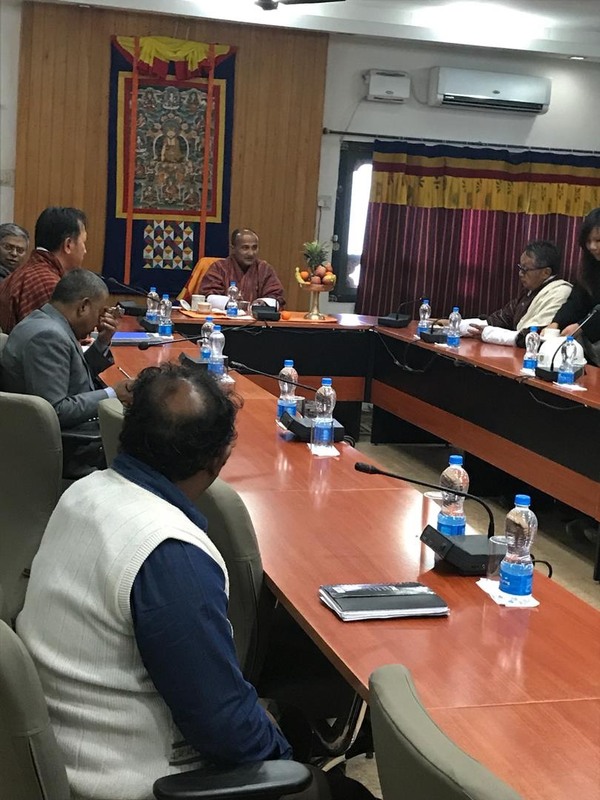 Following the visit, Hon’ble Lyonpo met with the Management of both the Puantsangchhu-I and Punatsangchhu-II Projects in the dam conference hall wherein the Chairman emphasized on the importance of resolving the pending audit issues. 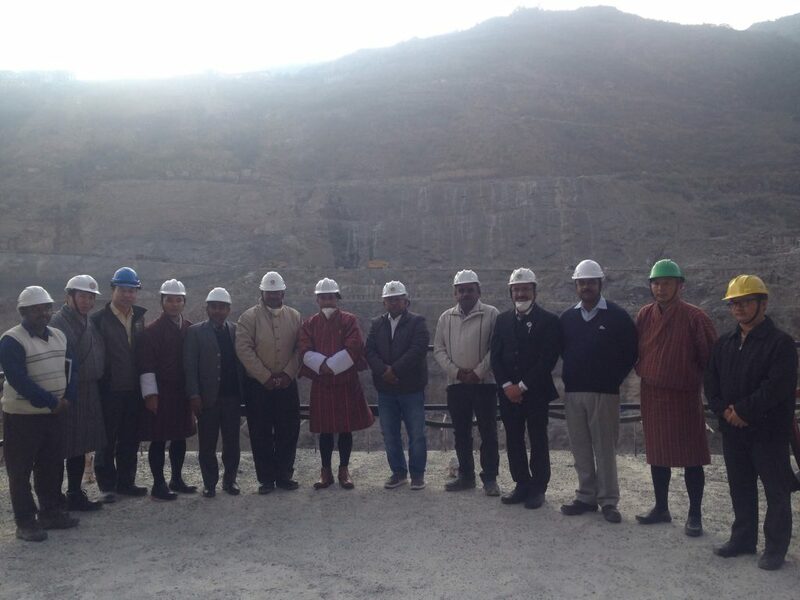 The Hon’ble Chairman returned to Thimphu after paying a brief visit to the Punatsangchhu-II dam site which is coming up well.